It's official. 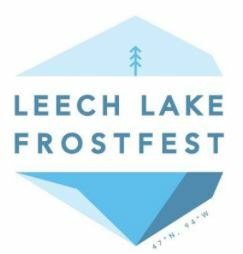 The second annual, Leech Lake Frostfest, is happening. Join us Saturday, February 9th, 2019 from 11AM to 4PM, on the frozen waters of Minnesota's 3rd largest lake for an afternoon party. We’re pleased to announce our partnership with Deep Portage Learning Center. As our beneficiary, this non-profit which specializes in outdoor education will receive 10% of the event’s proceeds. THIS IS A NO TRACE EVENT. Every structure and piece of trash will be removed from City Park. Ticket Includes: Limited edition mug, snow golf access, live music, and raffle tickets.